Over the years, I’ve read numerous inspirational or what I affectionately refer to as the “Kick in the Pants, Wake Up Call” books. 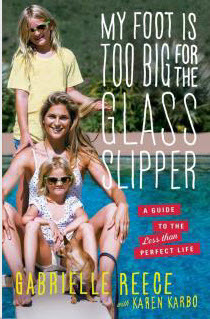 Without a doubt, Gabrielle Reece’s My Foot Is Too Big for the Glass Slipper: A Guide to the Less Than Perfect Life is, by far, one of the best I have read in a very long time. Lets face it. Life isn’t perfect. For anyone that thinks it is, you’re sadly mistaken. Anything worth having doesn’t come easy…you have to work at it. One of the things I like about Ms. Reece’s style is that she doesn’t sugarcoat anything. There’s no B.S. ; she just tells it like it is. While I am not a mother, I am a busy working woman with a husband whom I have been with for over 25 years (married for 20), along with a multitude of things to manage in my life, including family, friends, obligations, personal projects and, believe it or not, a second career. 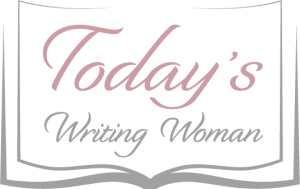 It’s not like I have a whole lot of free time; and yes, I do feel guilty (even though I don’t have children) when I have neglected some things, including myself. telling me to remove the cape…more on that later!) and that yes, indeed, you have to stand up and take responsibility to do the things that will make you happy and for those of us that are lucky enough, to make our partners happy. But let’s be clear here, what works for one may not work for someone else. At the core of Gabby’s book is choice. I think that choosing how to make it all work for you is crucial to any relationship. Case in point, my husband does the cooking and shopping; in return, I wash the dishes and do the laundry. This doesn’t mean that he does the cooking every night. I sometimes cook and he has been known to wash the dishes. But this is what works for us and that is what Ms. Reece is trying to say. Take a moment and read this book. I think you’ll find it be one of the best you’ll read in a really long time. I recommend that you keep it handy and go back to various chapters as an instant refresher course whenever you need a “kick in the pants, wake up call.